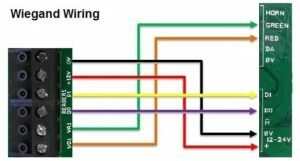 This document describes the basic process for enabling Access Control on your SPC Panel using WIEGAND Wiring. 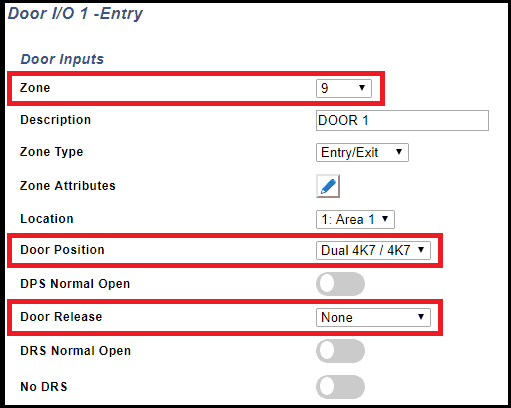 The Default Setup is for 2 single doors Entry only. 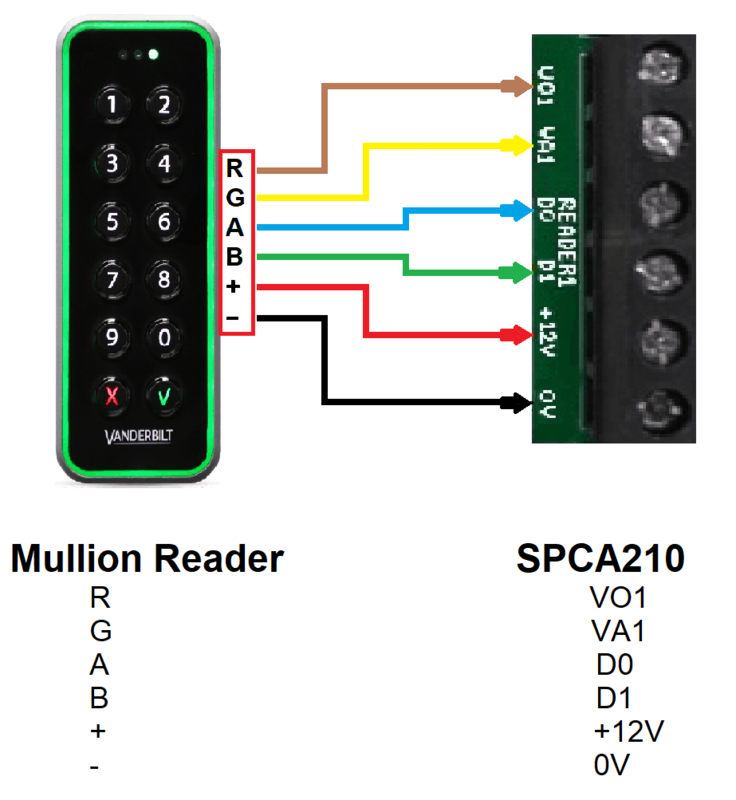 Below describes the Default access setup on SPC using the 500-series reader (Wiegand). By default, the PR500, HD500, SP500 & PM500, Cotag & EM Readers, on power up, try to connect using BC Link. If they do not detect BC Link within 64 seconds, then they revert to Clock & Data so they will need to be configured for WIEGAND using a configuration card. This is done by powering up the reader and immediately showing a WIEGAND config card to that reader, then within 2 seconds, showing one of the user cards to the same reader. If you want to use a PIN pad then a PIN option must be enabled in the Door configuration as the system default is for CARD only. Press and hold down the B button on power up. Press the A then 4 buttons = WIEGAND. Press the B button to exit config mode. The Door Position EOL value, by default, is set as Dual 4k7/4k7. The Door Release (Exit Request) EOL is set as NONE (no resistor). The Door Release zone is by default set as UNUSED so it can be used as exit request. 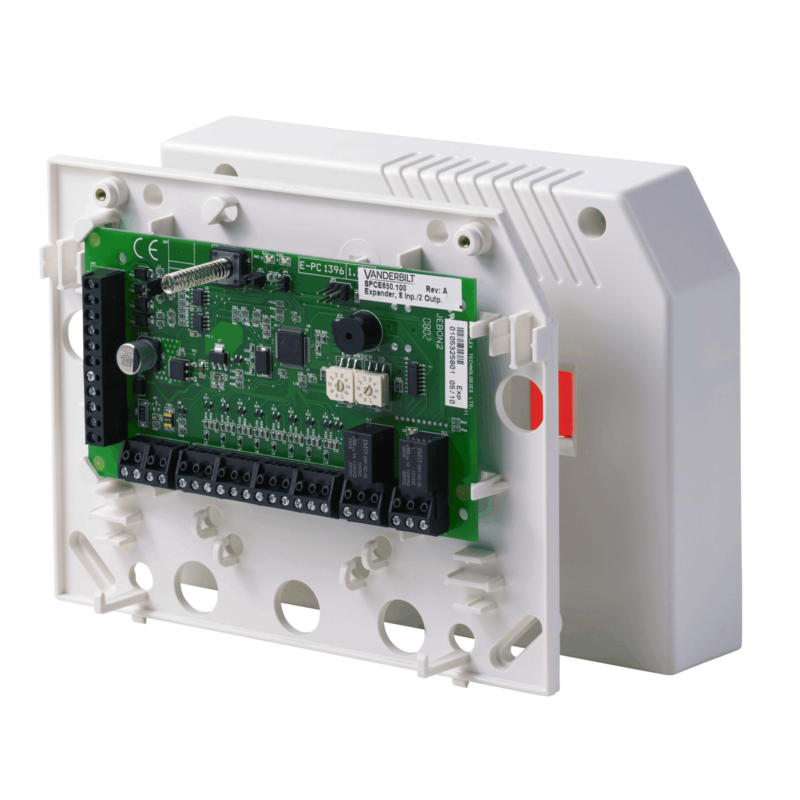 The DPS (Door Position Switch) inputs, on the Door Expander (SPCA210), are used for monitoring if the door has been opened, Closed, Left Open, etc and gives an indicator for the system to start the entry timer. (DPS1 is for Door 1 and DPS2 is for Door 2). 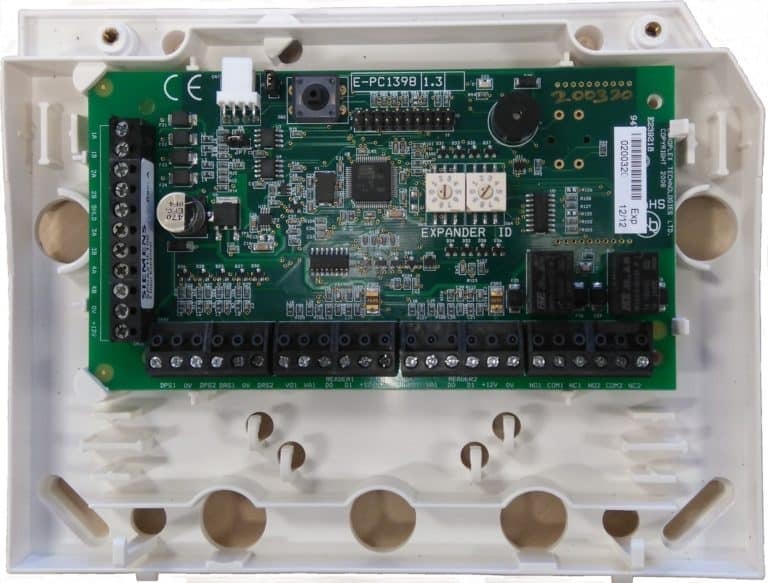 The system expects a 4k7 resistance across the DPS & 0v inputs when the door is closed. (DRS1 is for Door 1 and DRS2 is for Door 2). (Default - Short when Closed, INF when Open). 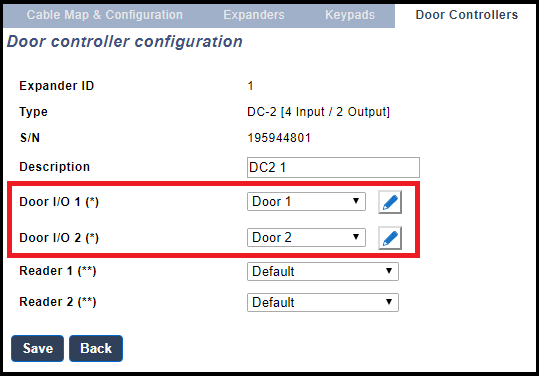 The following setup assumes that there is a Door Expander working on the system, with two readers wired into the Reader 1 & 2 connections and that the Door Position Inputs (DPS) have Contacts wired in and working. The systems default door setup is for both Reader 1 & 2 - Entry with Card Only. Each door is automatically allocated two Zones. In the example below, Door 1 has Zones 9 & 10 and Door 2 has Zones 11 & 12. 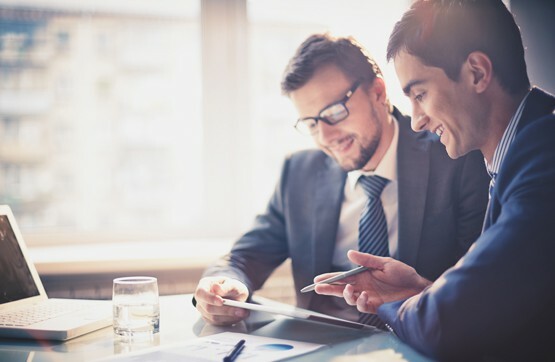 For Access Control to work on SPC there are several specific features that must be set up. Select which AREAS the user has access to. 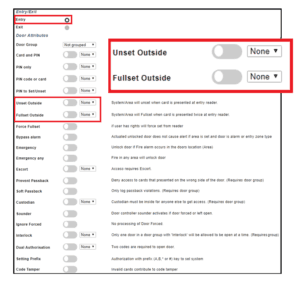 Select which DOORS the user can control either 24Hrs or via a Calendar. The site code must be the same as the cards used. 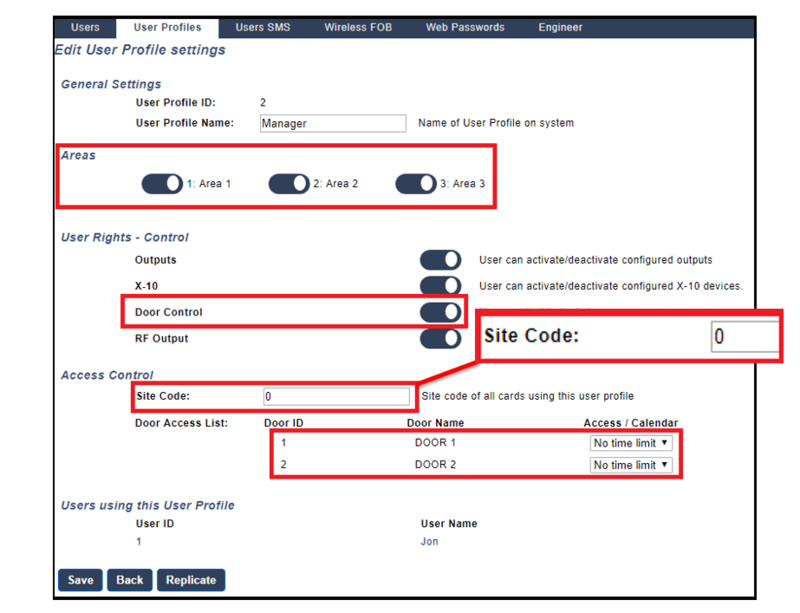 When a card is learned onto the system, if the site code is different to the profile, then Invalid Code is displayed on the keypad followed by the new code for (2 secs). This Site Code must be changed to the new code, in the User profiles, for the cards to work. Create / Edit a USER and select the USER PROFILE. Add a CARD to the User. Either Learn a Card onto the system via the Reader. Badge the Card on the reader to Add the card to the User. or enter the number manually. This is only possible for EM Cards. 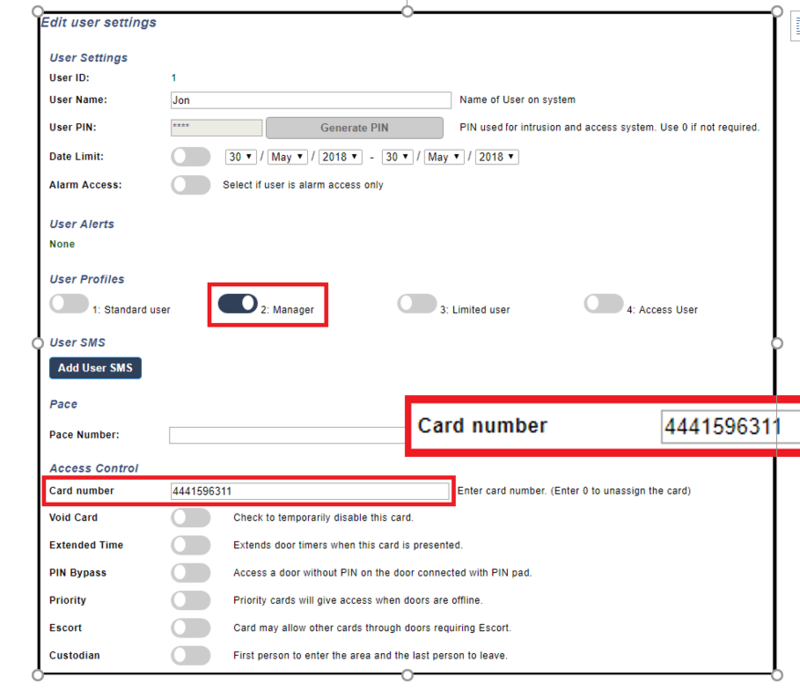 To manually add a card, the original card number must be converted into an SPC number using the Card Converter tool available from Tech Support. (SPC can only recognize a 10-digit code but may also work for different card types). or enter the number manually, in the USER, in SPC Pro or via the Browser. 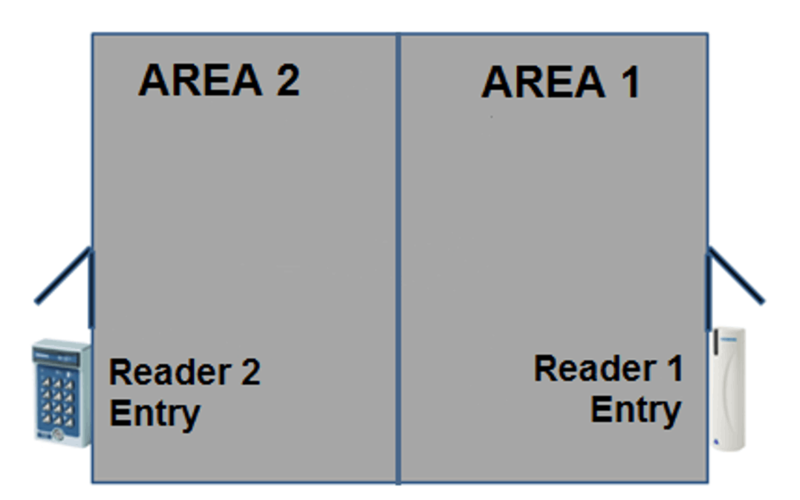 The Door Expander (SPCA210) configuration should be left as default, as Readers 1 & 2 are both used for Entry only. For the Entry Timer to work the Zone Type must be set as ENTRY/EXIT. Presenting a valid card (or Pin if Enabled) to the reader will release the door lock associated with that reader. If you open the Door, the Door Position switch detects the door has physically opened so starts the Entry timer for the Area. If the system is not Unset before the time limit is reached, then an alarm is activated. (If you do NOT open the door the door lock closes after the timeout period). Enter your code on the keypad, select Fullset > Area and the exit timer will start. Press the exit request button and exit the area, the Area Fullsets after the Exit timer has ended. If you need to terminate the Exit timer using the exit door, you can set the associated Zone with the Final Exit attribute. This allows you to set a second timer (1- 45 second) so the system Fullsets when the outer door is Opened Then Closed and the timer ends. Alternative Unset / Fullset options. Area will Unset Immediately via a single valid badge on the reader. Area will Fullset via the keypad using the Exit Timer. The area will Unset via a Reader valid badge & Keypad code using the Entry Timer. The area will Fullset Immediately with a double valid badge on the reader. The area will Unset Immediately with a single valid badge on the reader. The area will Fullset via the keypad using the Exit Timer. Door Type changed from Entry to Exit. The area will Fullset with a double valid badge on the reader using Exit Timer.